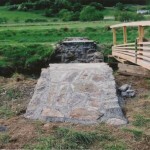 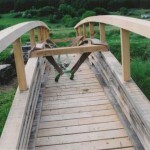 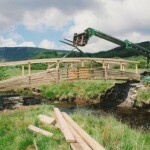 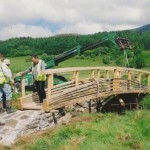 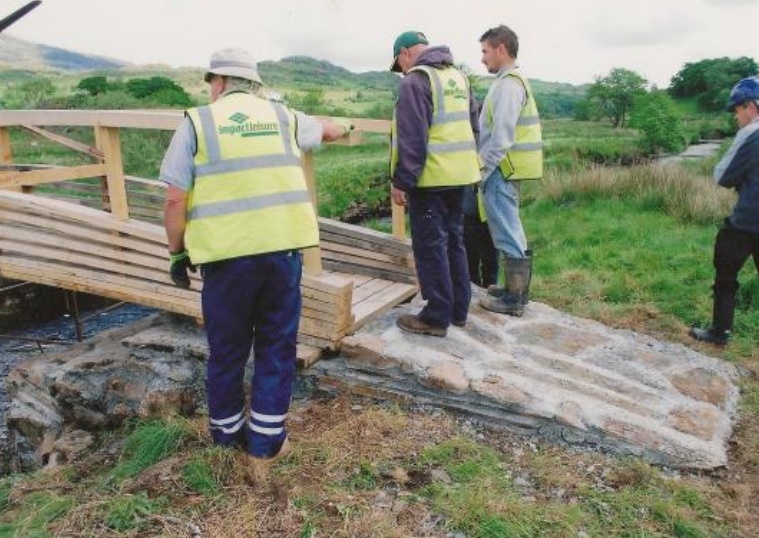 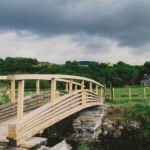 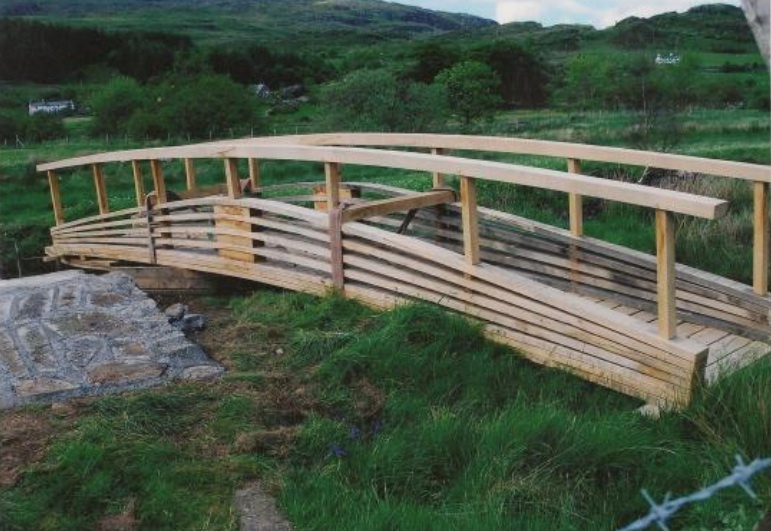 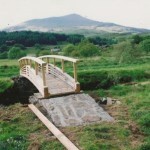 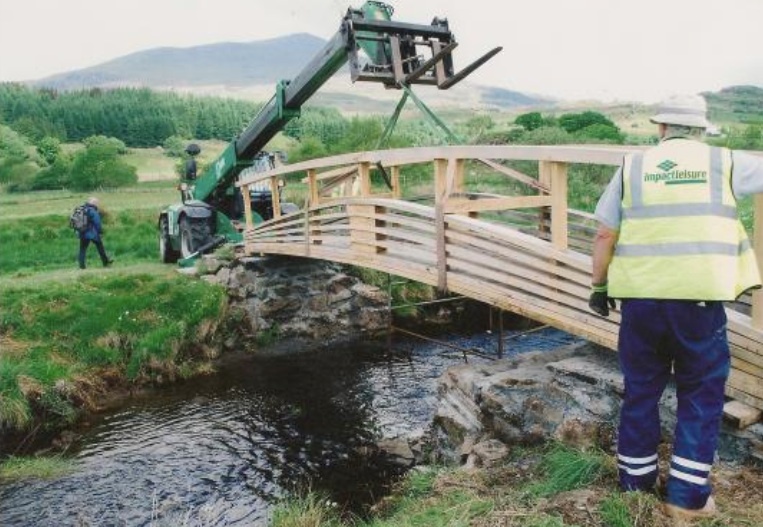 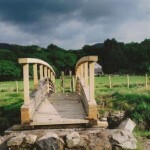 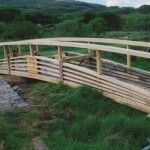 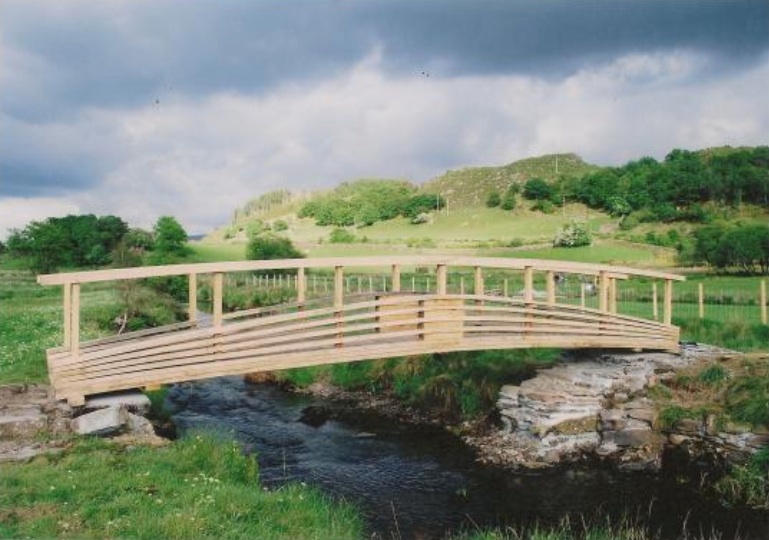 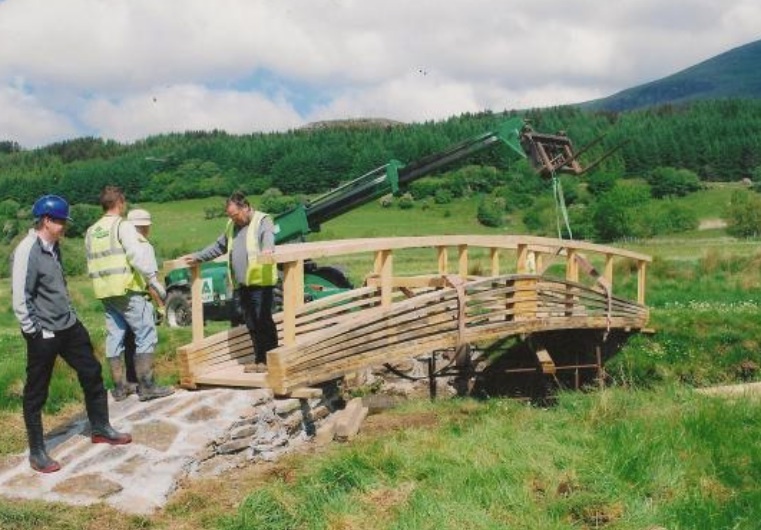 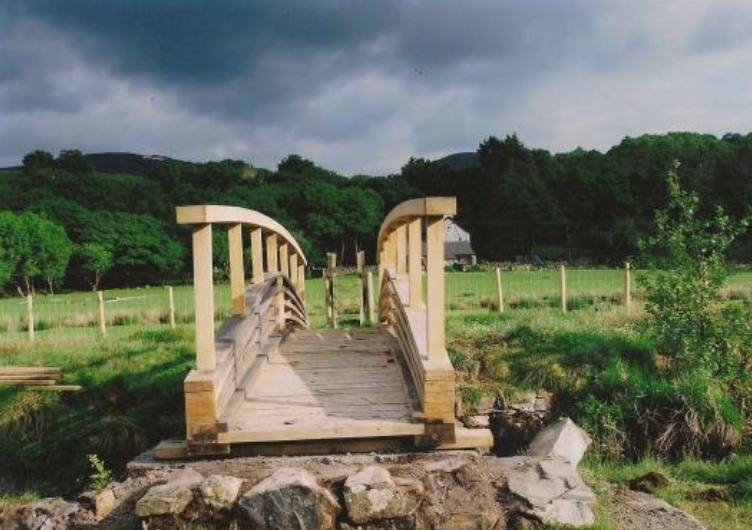 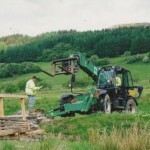 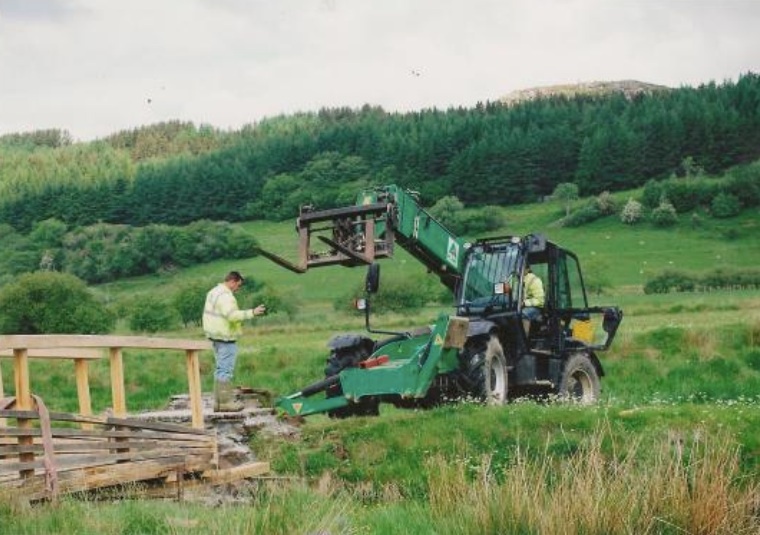 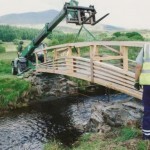 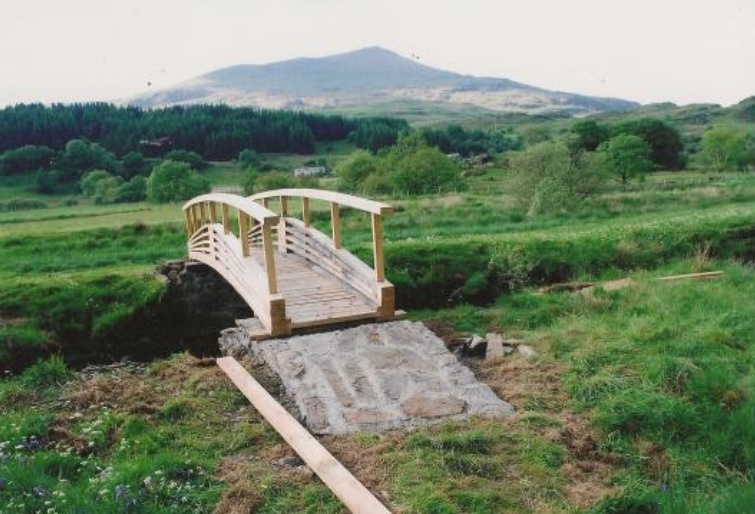 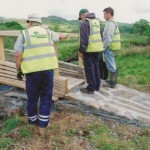 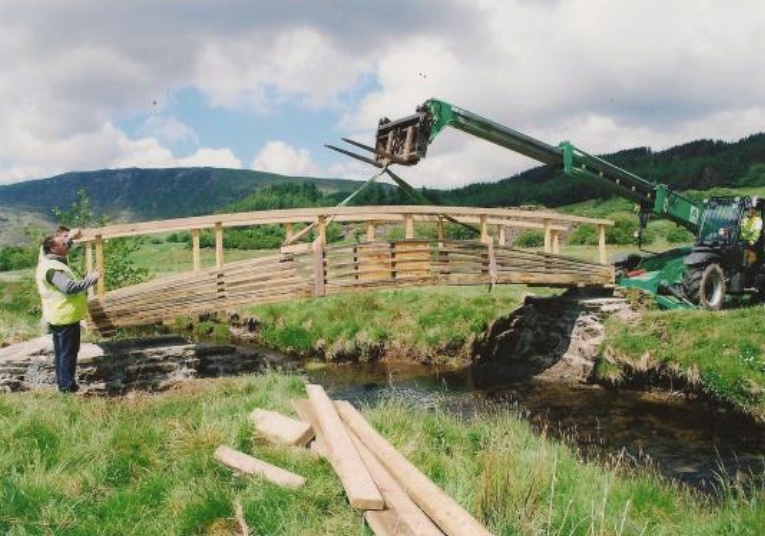 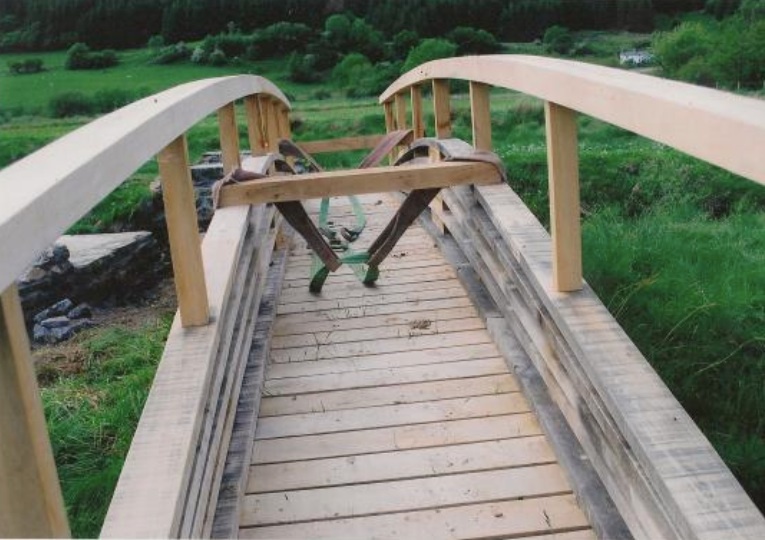 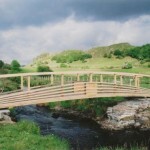 This new bridge was funded by resident of Roman Bridge, Dolwyddelan, Bob Borzello who set up the Camden Trust. 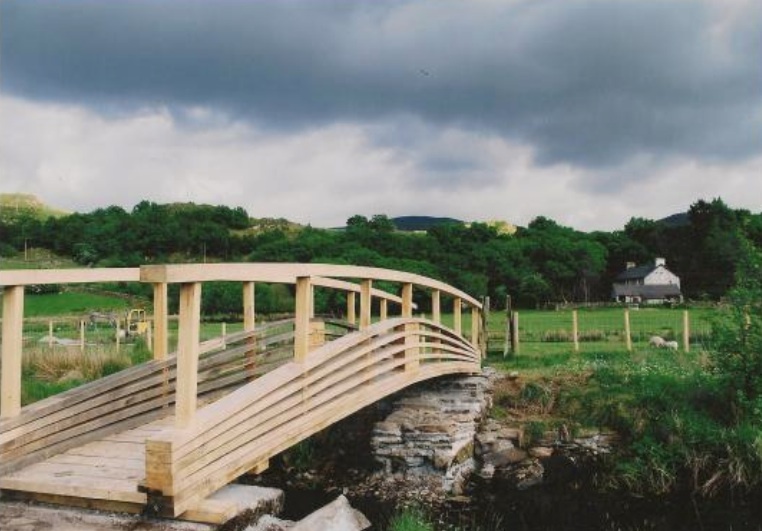 In 2010 the oak bridge was installed near footpath number 33 and replaces a rickety crossing which was becoming dangerous. 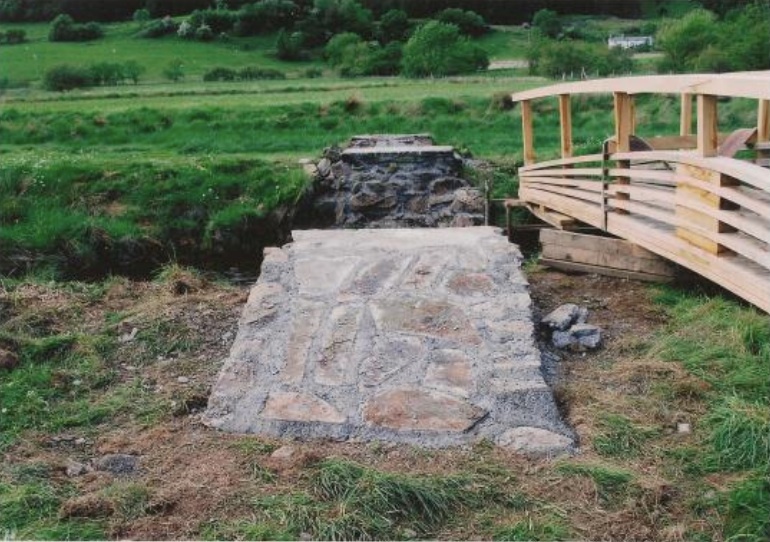 The Project was managed by Helena Bacon, whilst poets Menna Elfyn and Paul Henry have poems inscribed in the slate steps either side of the bridge.